He (Paul) proclaimed the kingdom of God and taught about the Lord Jesus Christ – with all boldness and without hindrance! Are you hindered? I am…or at least I feel like it. A lot! Webster defines hindrances as things that impede, stop or prevent…to hold back, to delay action…to interfere with activity or progress. Yep. Seems like I live there! But Luke’s words in Acts 28 that Paul proclaimed and taught with boldness and WITHOUT HINDRANCE have challenged my understanding of “hindrances”. I’ve always been a self-professing mamby-pamby. My children call me a ‘wienie.’ I don’t like it too hot, and certainly, I don’t want to be cold. Mosquitoes love me to the exclusion of everyone else on the block. A headache is always on the brink, and I certainly don’t want to break a nail. 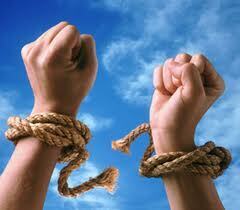 My low-pain threshold often keeps me enslaved! I’m not a “people-person,” and I don’t like crowds. Bottom line: I don’t like to be uncomfortable. So it is with some consternation that I realize that many things I regarded as hindrances are really inconveniences and interruptions. For crying out loud: If Paul was not hindered by beatings and stoning, lashes and snakebite, imprisonment and being shipwrecked, surely I can get out of my comfort zone to love others and be BOLD in proclaiming God’s goodness to me. I will pass on all the drama that Paul went through, but I am determined to press on, to keep at it, to have faith in all that He has called me to do…and to “throw off everything that hinders…and run with perseverance the race marked out for” me (Hebrews 12:1).